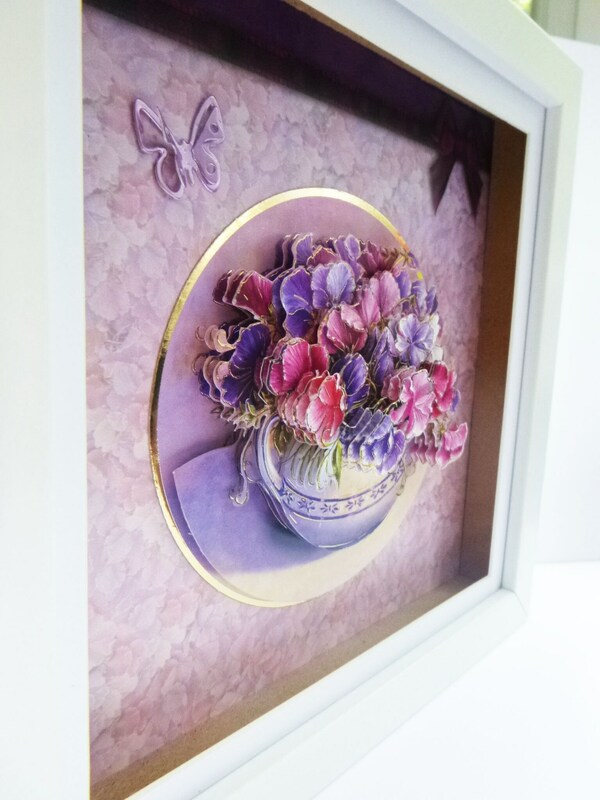 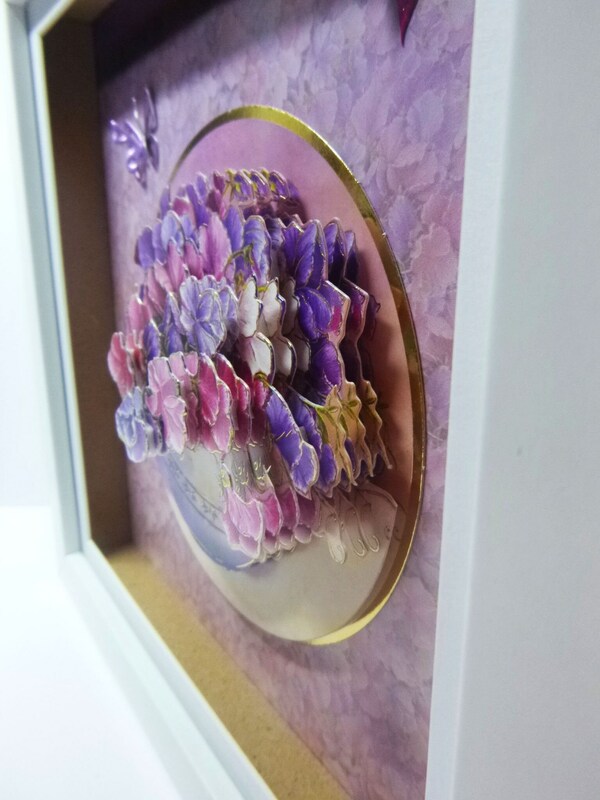 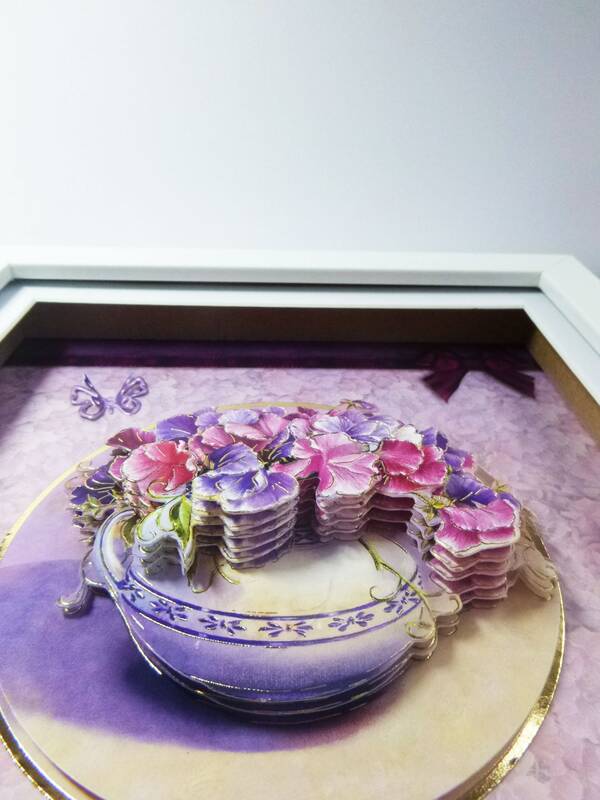 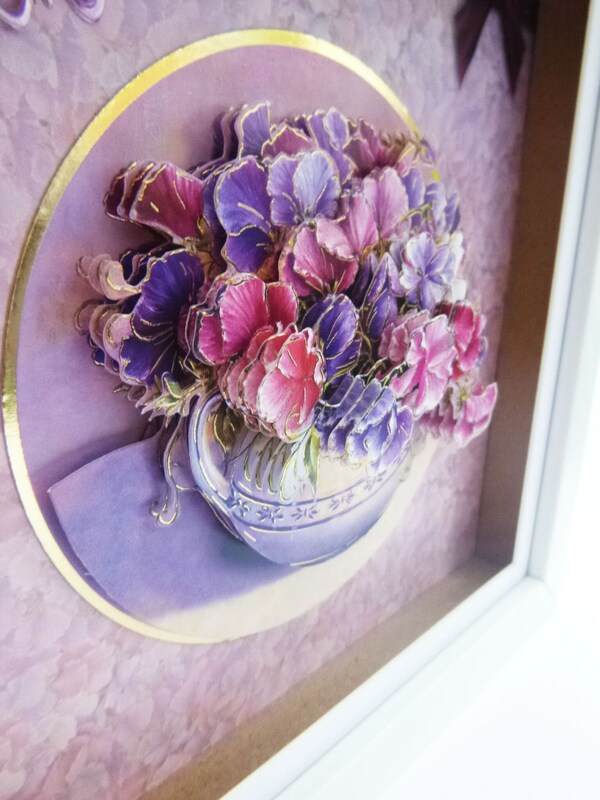 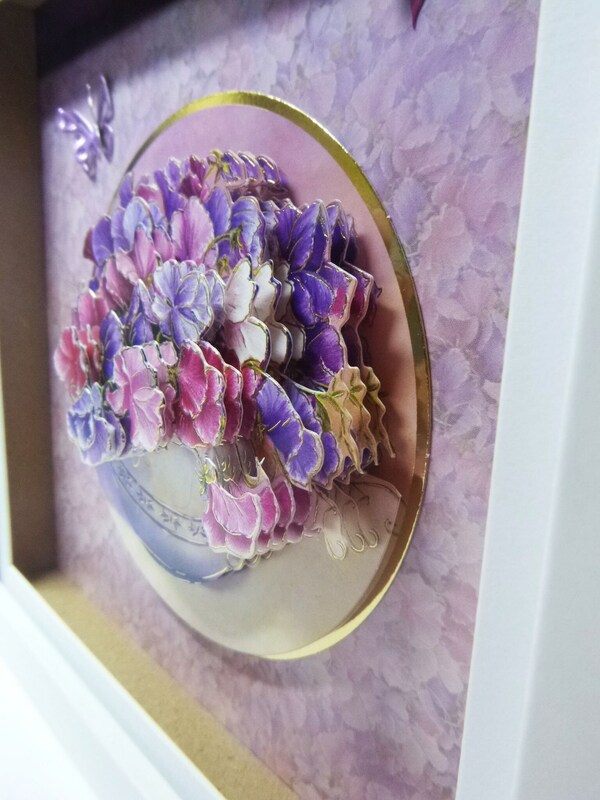 A 3D decoupage floral display in a shadow box frame. 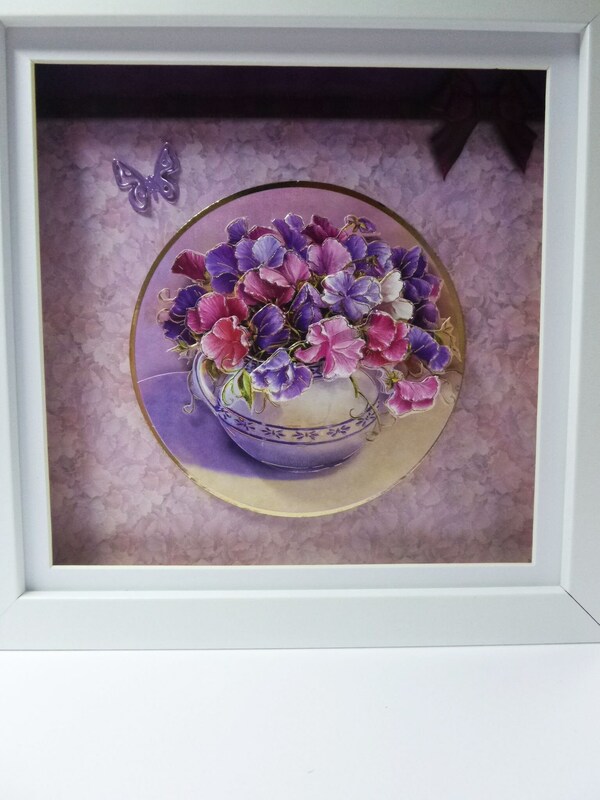 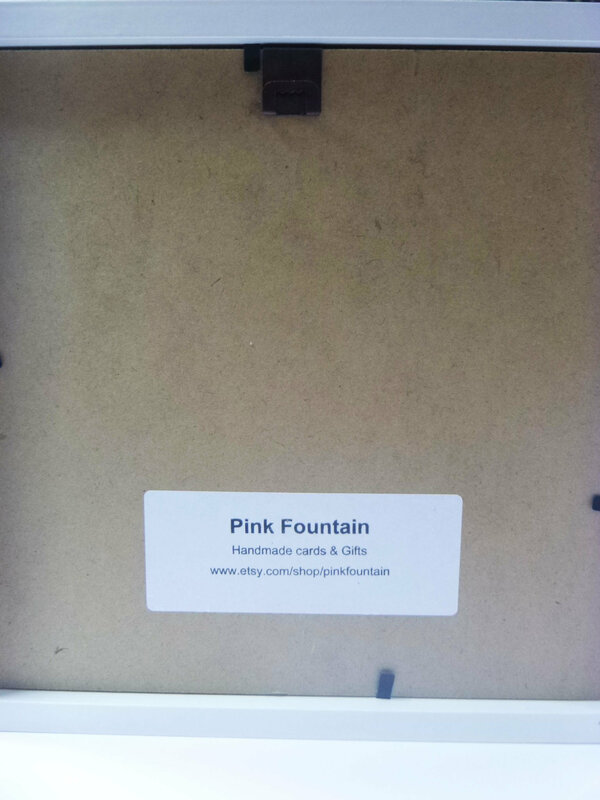 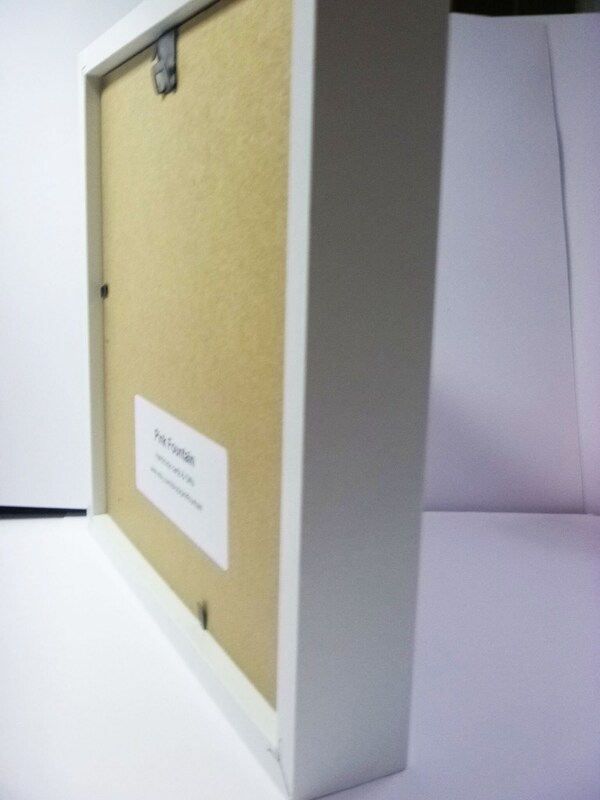 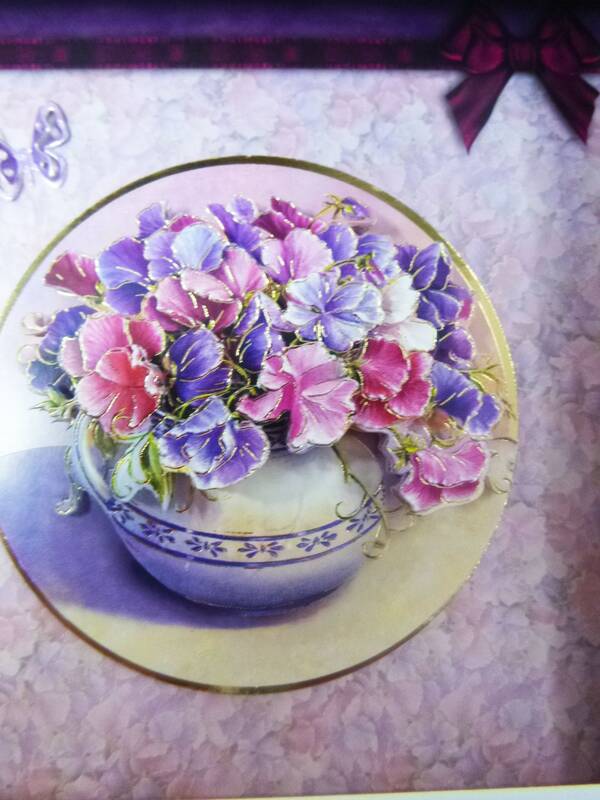 A white wooden frame, with pink white and purple flowers. 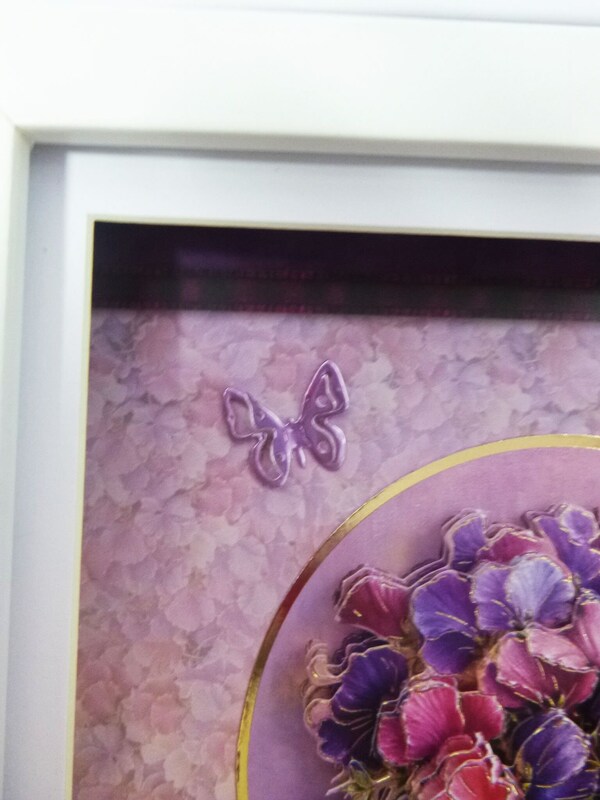 A small lilac butterfly in the top left hand corner of the picture.